Watching helplessly as hair increasingly clogs your drain and remains in your comb can be frustrating. The shape of the hairline can make a huge difference to your appearance. If you are saddened or made self-conscious by your thinning and / or receding hairline, you may want to consider the linear strip method of hair restoration in Savannah. At Hair Restoration Center Of Savannah, we offer many options of hair restoration techniques, including the automated FUE method known as NeoGraft and the linear strip method. Dr. Finger and our technical staff can help you decide which Hair Restoration Center Of Savannah technique will produce the best results for you during your initial consultation. What is involved during the linear strip method of hair restoration in Savannah? During the linear strip method of hair restoration in Savannah, a strip of donor follicles is removed from the back of the scalp. Hair Restoration Center Of Savannah’s technical staff will then prepare each individual follicle for transplantation. Implantation sites will also be prepared at the treatment sections of scalp, ensuring accurate and optimal follicle positioning for increased hair density and a shapely hairline. Once the individual follicles are prepared, usually in a single or two to three follicle rows, they are implanted into the section of scalp which is thinning or balding. Patients will receive aftercare instructions from Hair Restoration Center Of Savannah’s technical staff. Aftercare instructions not only ensure that both your donor and implantation sites heal swiftly and efficiently, but also that you maximize your potential hair growth from each follicle. Patients can expect to see visible improvement over the next six to nine months following their hair restoration in Savannah. How is the linear strip method of hair restoration in Savannah different from the manual FUE method? 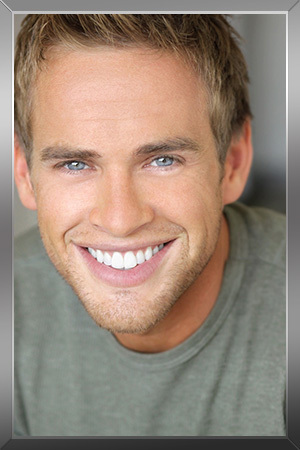 The linear strip method of hair restoration in Savannah is a faster and less time consuming procedure than the manual FUE method. Instead of removing each and every individual follicle from the donor site, a strip of donor tissue is removed from the back of the head where hair is thickest in density. How do I get started with hair restoration in Savannah? Dr. Finger and the staff at Hair Restoration Center Of Savannah would be happy to help you set up a private consultation to discuss hair restoration in Savannah. Schedule an appointment online or call 912-354-4411.